White is a very pure and clean color. It is usually paired with other colors, because most believe that on its own white can be a bit boring. However a white wedding theme is anything but boring. 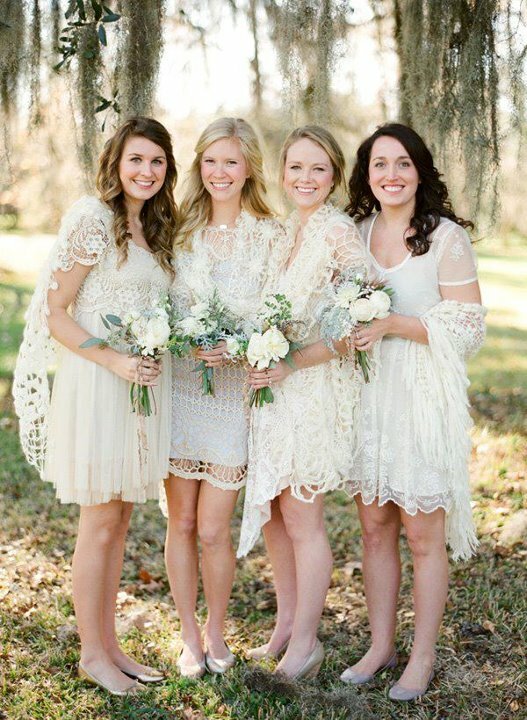 Having an all white or mostly white wedding makes a very dramatic statement. White is a timeless wedding color. With many modern brides choosing to incorporate more colors, why not be truly unique and stick with an all white affair? This color can be used no matter what season the wedding takes place in. Obviously in the winter, a white wedding theme will be made to feel more like a winter wonderland. However in the warmer months, it can very well be used to make a wedding feel more classic as well as stylish. It's also a very easy color to work with. Unlike choosing other colors for a theme, there is no need to match the perfect shade for your attire, decorations and flowers. White is just white, it is never too dark or too light. The easiest detail to get right for an all white wedding theme is the bride's wedding gown. Since the majority of all wedding gowns worn by brides are in the classic white color, there are plenty to choose from. As for the bridesmaids, it might not be such a good idea to have them all dressed in white since it will drown them out. Instead they can add a little color to the look such as a belt or a sash around the waist. 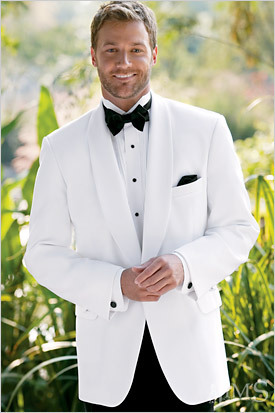 If the groomsmen elect to wear all white suits, make sure at the bow tie or cummerbund is of another color. Let's not forget about the flowers for a white wedding theme. There is an abundance of flowers that come in the color white. Some ideal flowers for bridal bouquets and centerpieces include white roses, freesias, gladiolas, peonies and tulips. A blend of white flowers with some delicate light pink or peach flowers would look lovely. If you choose to use an arrangement of only white flowers for the bridal bouquet, make sure there is at least a colored ribbon to tie it together. 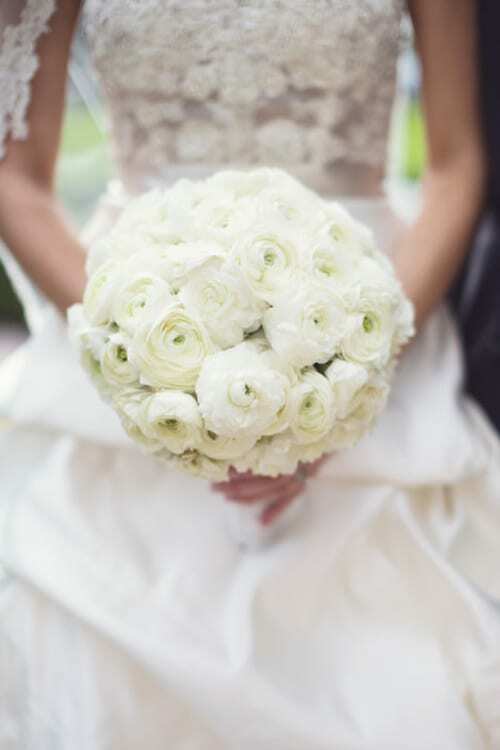 It will be difficult to see the true beauty of the bouquet against an equally white wedding dress. The decor for a white theme must be clean and sleek. Everything about it must feel modern and sophisticated. However having decor that is completely white may feel a little clinical. To keep the atmosphere chic, it would be a good idea to add just a touch of silver or gold. Since the color white looks good with any other color, it really doesn't matter what you pair it with. Just remember that white is still the main focus of the wedding so any other color that is used must be used sparingly. It would no longer be a white theme if some other color steals the show. If silver or gold is not for you, try some colors that are appropriate for the season.